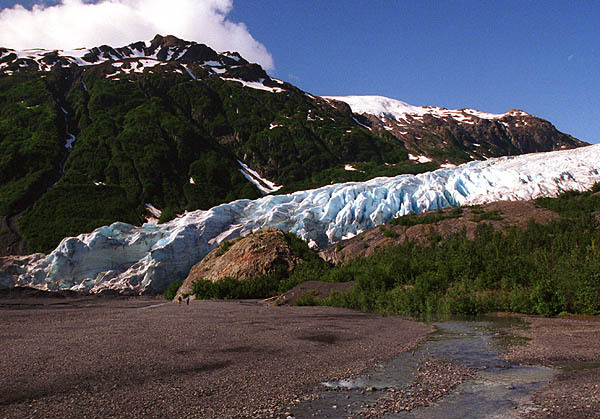 Near Seward, the Exit Glacier is one of Alaska's most accessible glaciers. The Harding Icefield Trail, a 8-mile roundtrip with 3500' elevation gain to overlook the icefield which is the source of the Exit Glacier (and others), starts at the foot of the glacier and follows the glacier flank upwards. We hiked all the way to the top, seeing spectacular views and wildflowers.